Some of the province’s best known chefs are saying whatever you do, don’t order the farmed salmon. Whatever you do, don't order the farmed salmon. That's the message from some of the province's best known chefs who say B.C. 's salmon farming industry is unsustainable and bad for the environment. Some of the notable names include David Hawksworth, of the downtown fine-dining restaurant that bears his name, Meera Dhalwala of Vij's and Hidekazu Tojo of Tojo's. 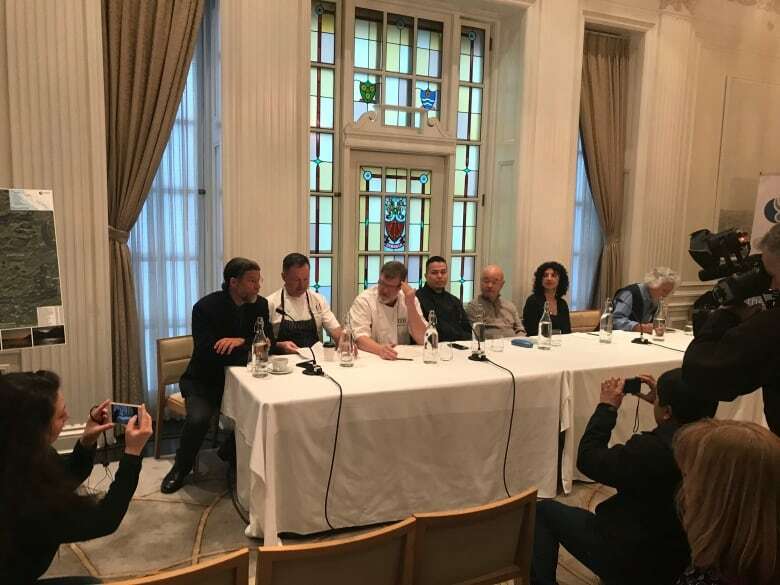 All told, more than 50 chefs signed a declaration calling on the province not to renew 20 contentious fish farming licences in the Broughton Archipelago. 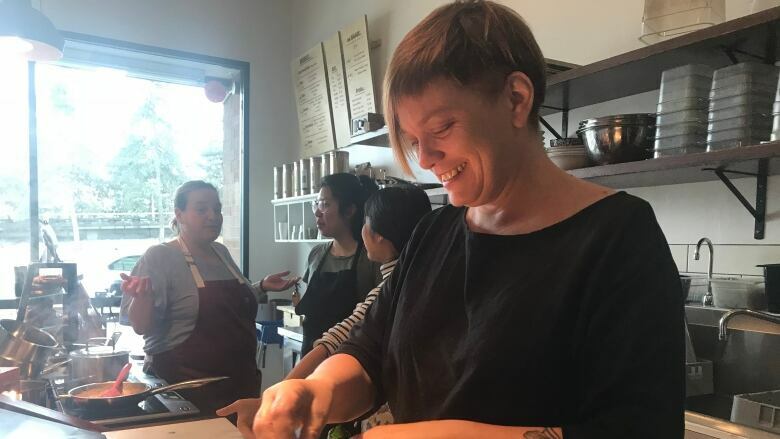 CBC caught up with chef Andrea Carlson in the kitchen at Harvest on Union Street in Vancouver, as she diced up some vegetables for a soup. She also own Burdocks restaurant, which specializes in farm to table food. "We as chefs want to protect our wild salmon stocks," said Carlson. She says her biggest concern is the impact of having tens of thousands of salmon in a small space, where waste can build up and chemicals are sometimes used to treat salmon lice outbreaks. 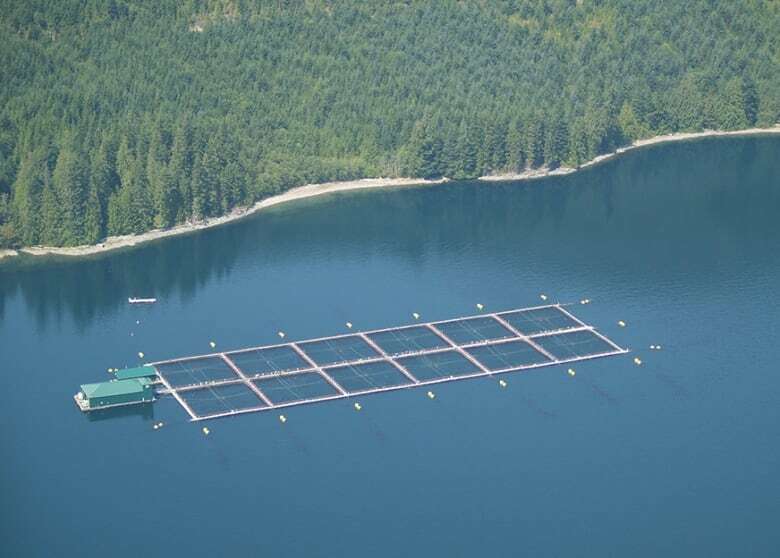 She also fears these net pen farms can spread disease and parasites to wild salmon, which is a hotly debated topic. At the moment, Carlson has no salmon on the menu at either of her restaurants. "We only serve wild salmon when it's in season and when it's coming from a run deemed to be healthy and abundant." Cookbook author and chef Rob Clark, who owns the Fish Counter, says he has many concerns about pens in the open ocean. "Do we want antibiotics introduced into our ecosystem, into our food chain, simply to make these fish healthy enough to eat because they've been weakened by stress." About 70,000 tonnes of farmed salmon are produced in B.C. each year. The industry says it's providing a quality product at a good price and taking the pressure off wild salmon stocks. "The demand for salmon has been created by the salmon farming association to sell a product we didn't need in the first place," he said. "They spent millions and millions over the last 30 years to convince us we should be eating farmed Atlantic salmon." The chefs were cheered on at the announcement by scientist and author David Suzuki, who called for consumers to pay attention to the fish on their plate. "I'm astonished about how ignorant the average consumer is over the fish they're going to put into their body." He says some restaurants and stores try to hide the fact they're serving farmed salmon. Suzuki thinks it's unrealistic to ban fish farming outright. He wants the operations to get out of the ocean and build large salmon rearing tanks on land, where the waste and chemicals used in their production can be kept out of the open oceans. "Just on basic principles, we cannot continue to use the oceans as a sewer," said Suzuki. Not surprisingly, the B.C. 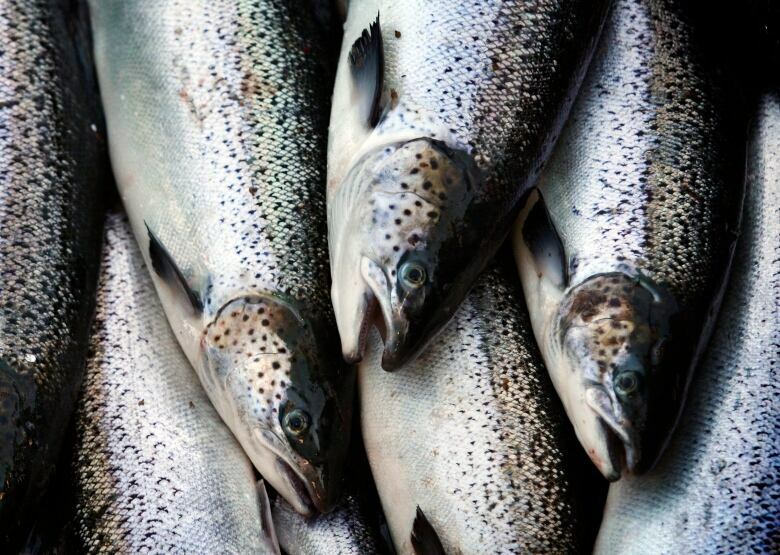 Salmon Farmers Association takes issue with the chefs' stance. One of its members, Ian Roberts, is with Marine Harvest, which produces more than half of B.C. 's farmed salmon. "If we lost some of our production, it would severely impact, not just the price of salmon and seafood, but also put undue pressure on wild sources that can't meet the growing demand for seafood," said Roberts. He also says it's not practical to move their operations onto land. Suzuki and the chefs, though, say there are hidden costs in allowing open net pen farming to continue. Chef Meeru Dhalwala of Vij's restaurant says people expect food to be cheap but spend money freely elsewhere. "Cosmetics, designer blue jeans, how much do our glasses cost, our clothing, it's more how we allocate the money we have that needs to be asked, versus, 'is sustainable fish expensive?'" The move comes on the same day B.C. 's NDP government released a report on the future of fish farming in the province. The document concedes there are many contentious issues surrounding net pen farming and promises more consultation before action will be taken. And the clock is ticking. By June, a decision has to be made over whether to renew leases on 20 BC salmon farms.